Fiat 500 Powerflex Front Anti Roll Bar Bushing set. 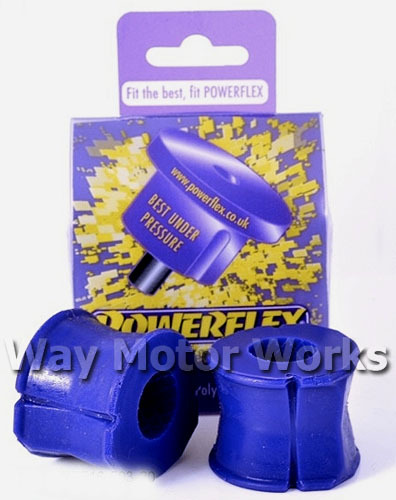 These powerflex polyurethane front sway bar bushings are a direct replacement bushing for the OEM Fiat bushing. These bushings being made from polyurethane will be more durable bushing than the stock rubber bushings. These bushings fit the stock front sway bar ONLY. sold as a pair, as seen in the pic.